The episode has a slow start - it's clearly meant as a supplement to the manga for those already familiar with the series. However, at about 2/3 of the way through, it starts to pick up, and I'm definitely curious to see where it goes in the remaining two episodes. 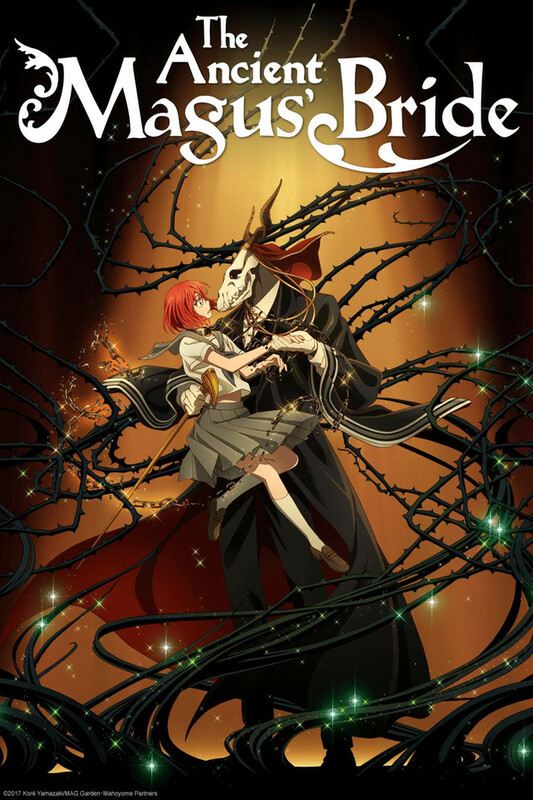 Elias isn't quite as I imagined him while reading the manga, but Chise is nearly perfect - both the animation and the voice acting combine to convey her withdrawn personality. The animation and art are pleasing but not quite at the level we've seen from some of Wit Studio's productions. Overall, this is a good start to the series and should be worth watching for those familiar with the manga. Those who aren't could also watch it, but might have more trouble feeling engaged. Wizard's, Magic, Mage's whats not to love? You know I really can't stand having to do a review when I just want to recommend an anime to potential viewers. This anime just came out, first episode was good. Need more episodes to fully rate but for the time being 5/5 is fine by me. I haven't read the manga on this one but after watching this first part ( even that is too short and it leave you wanting more). It remind me of the other good magic anime like the Howl's Moving Castle great art and plot. I hope the rest gets added soon. First off i'd like to point out something off topic of what drawn me into this particular title. I love shows that deal in magic and I love games that deal with warriors and dungeons but this show gave me funny vibes of Blood Borne meets Miyazaki. I feel in love with the characters presented in this first episode and wow.... I want to know more about these characters. the setting to me is perfect and i'm taken back in awe how these characters develop feelings. the transitions and details are subtle but give a powerful atmosphere. I can't wait to see this series till the end!!! For those who have read the manga. As someone who has already read the manga, I was already in love with this anime ever since it was announced. In fact, the reason I read the manga was because of the announcement of this anime. I wish it was actually the anime of the manga I read but it is interesting to learn more about Chise and her past. I recommend you read the manga first because it is a supplement to the current story. But I hope it updates soon. Good characters. Good setting. Great show. The manga is very good and this show seems to be off to a good start. I got excited when I saw it was coming out and have a feeling this will be a great show. The first episode is beautifully paced, with a distinct atmosphere and a complex narrative. The animation is lovely, and the direction is superb. If you like being thrown into an immersive world with monsters and magic, you won't be disappointed. I'm eager to see where they take this series! So far this appears to be quite different from the manga, but it for sure has me intrigued. I highly recommend reading the manga in order to appreciate this anime in full as so far a few details have been left out that would help explain some of the more of the interesting details. Want to read the original manga? Check it out now from Seven Seas Entertainment!